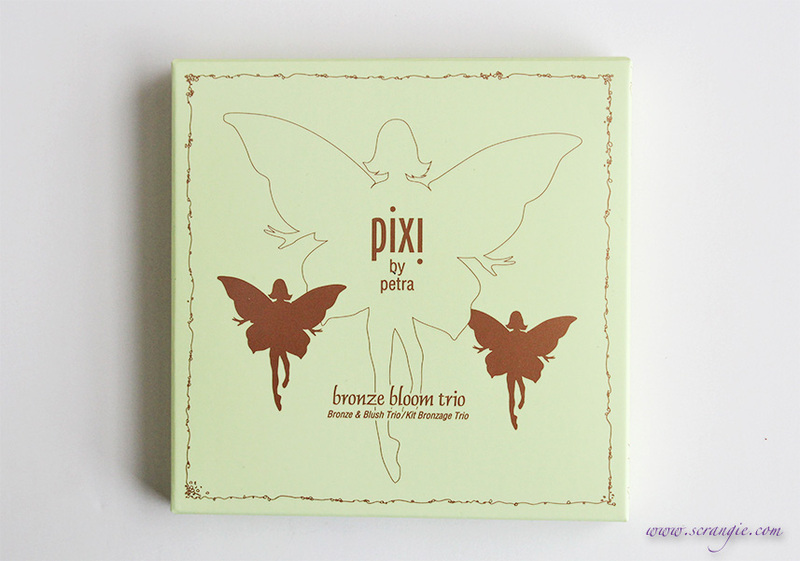 New from Pixi Beauty for Summer 2012: the Bronze Bloom Trio. It's a giant (really, this thing is huge, you could play Frisbee with it.) 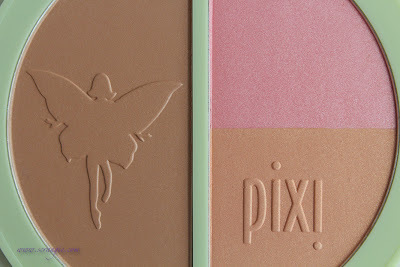 sculpting and illuminating palette that features a matte bronzer alongside peach and pink shimmer blushes. The bronzer on the left is a medium matte shade that can be applied lightly or built up for more color. 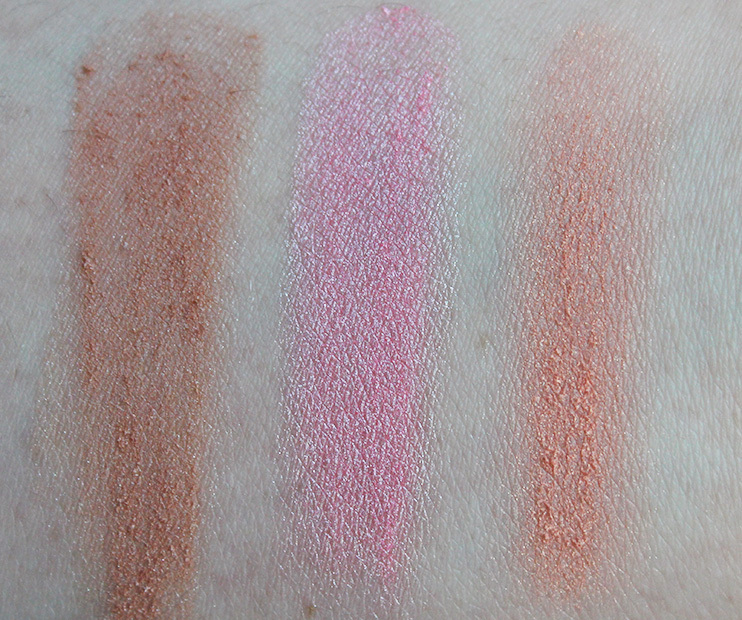 The peach and pink blushes on the right have a frosty shimmer finish. It's huge. I don't know why it amuses me so much, but I love having a blush/bronzer compact that's this hilariously large. 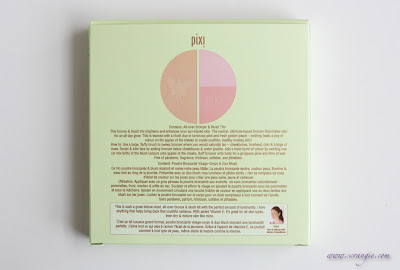 The packaging is really cute. 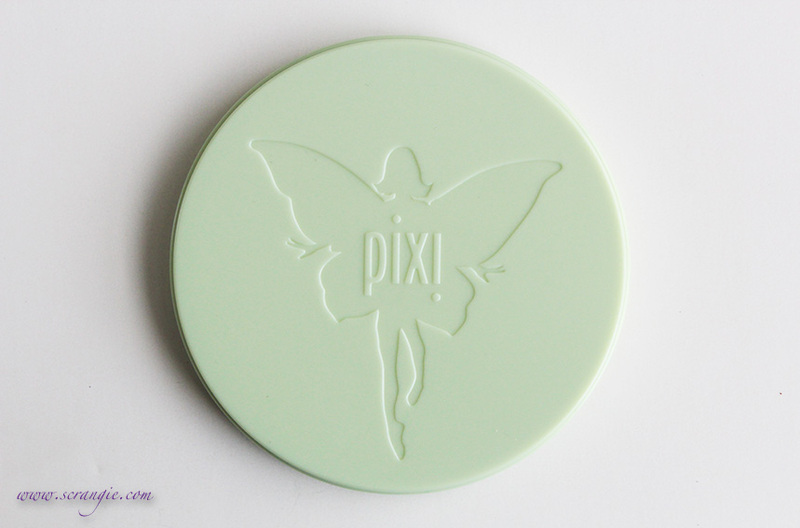 Pale jade green with a fairy in the center. 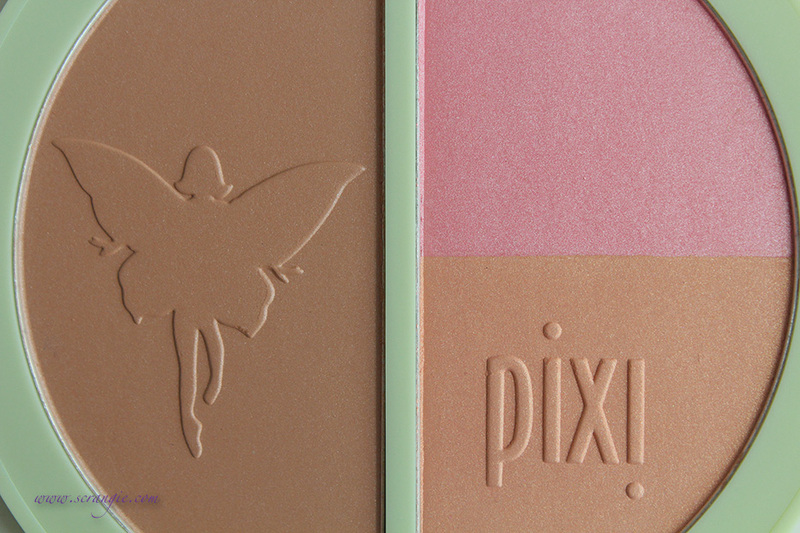 All three powders feel soft and silky and have good pigmentation. All are easily blendable as well. Fairly inexpensive for the amount of product you get, especially compared to Pixi's other products. $28 for 11.06g/0.39oz of bronzer and 10.5g/0.37oz of blush. Frosty blushes! I have a hard time pulling of frosty colors on my face as they tend to accentuate imperfections. The frost can be reduced by blending, but not completely. 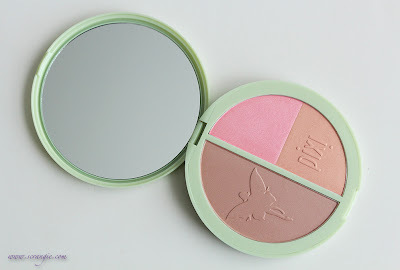 Feels like a drugstore product, but at a mid-to-high end price. It's priced similarly to LORAC's blush/bronzer duo ($30), Bobbi Brown's blush/bronzer duo ($33), and Too Faced's Peach Leopard highlighting/bronzing trio ($29). 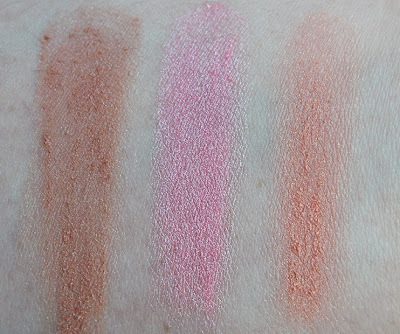 It's nearly identical to an upcoming IT Cosmetics illuminating trio. Overall, it performs well and it's cute to look at. It's powdery and the formula is very talc-heavy, so it doesn't feel like a luxury product, but it looks good regardless. 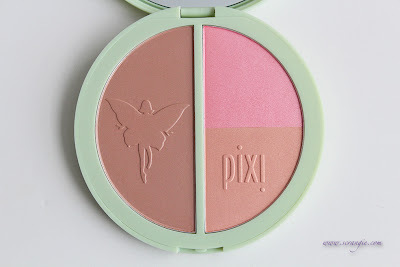 My one qualm with this product (and Pixi in general) is that the quality doesn't match the price. It feels like drugstore but is priced like Sephora. The Pixi Bronze Bloom Trio in Bronzette is available now on Pixi Cosmetics or at Target, in-store and online. Can you post a size comparison photo of this next to an opi bottle? I can't do a frosty face at my age, but my dog loves frisbee :) thanks for the laugh! Pixie seems to always have adorable and minimalist packaging that's visually attractive. I've only tried a few items from them and have been happy. Wish they focused more now on making the quality of their product match the price.